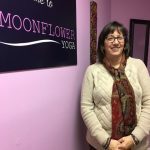 Best yoga teachers in Nassau County, Long Island, New York; great yoga classes and workshops; beginner yoga, Kundalini yoga, Tai Chi, great workshops in Bellmore, Nassau County, Long Island, New York; small class size with personal attention | Moonflower Yoga Inc.
Nancy Weshkoff, E-RYT, Reiki Master Teacher, and Owner of Moonflower Yoga Inc.
Nancy is a baby boomer who discovered yoga over 16 years ago, and it changed her life. Working at that time in a very stressful executive position in corporate America, she realized that her yoga practice enabled her to de-stress and better cope with life’s challenges while building strength and flexibility. Her love affair with yoga continues every single day, and she brings that dedication to Moonflower Yoga. Nancy Weshkoff is a member of the Yoga Alliance and is an Experienced Registered Yoga Teacher (E-RYT200) under Yoga Alliance guidelines. As an Experienced Registered Yoga Teacher, Nancy has more than 4,000 hours of teaching experience. Nancy has also received YACEP status as a Yoga Alliance Continuing Education Provider. She received her yoga teacher training at LYH in NY. Nancy is also a member of the Kripalu Yoga Teachers Association and has attended accredited courses at Kripalu on “Yoga as Medicine”, “Adapting Restorative Yoga for Chronic Illness”, “Chair Yoga for the Rest of Us”, “Evaluating Muscle-skeletal Imbalances” and “Nurturing the Sacred Time of Pregnancy”. Nancy also attended numerous workshops at the Long Island Yoga Association. She was named “Chamber Member of the Year” in January 2016 by the Bellmore Chamber of Commerce for her commitment to supporting local businesses and charitable efforts and has received awards from New York State and Nassau County recognizing her commitment to the Long Island community. Nancy is trained in Reiki and is a certified Reiki Master Teacher and a member of the International Association of Reiki Professionals. Nancy teaches Beginner Yoga on Saturdays at 8:30 AM and Sundays at 10 AM, Stretch and Flow on Thursdays at 10 AM, Candlelight Restorative on alternate Monday nights at 7:30 PM, Saturday Flow on Saturdays at 10 AM, Chair Yoga on Tuesdays at 11 AM. (Chair Yoga is also offered on Thursday mornings at 11:30 AM with Lynn and Wednesdays at 445 PM with Lynn. ), and a Relax with Reiki class on select Tuesday evenings at 7:30 PM. 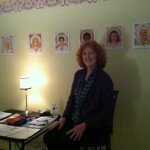 Nancy runs the Reiki training programs at Moonflower Yoga and leads workshops on various topics. Lynn Carapella, E-RYT 200, has over 5000 hours of teaching experience in various yoga asanas including ashtanga, anusara, vinyasa, and restorative styles as well as experience instructing family, teen, child and pre-natal yoga. Lynn, who has been practicing yoga for over 30 years, is humbled to share her experience of yoga with each student to a deeper mind-body connection within themselves. She believes that yoga is for everyone: that the beneficial rewards of the eight limbs of yoga are awaiting anyone who is willing. Join her in a peaceful practice to cultivate mindfulness, steadiness, patience, compassion and the interconnectedness of all beings, all creation – through the beautiful gift that is YOGA. Lynn teaches a wonderful “Rejuvenate and Stretch ” class on Wednesday mornings at 10 AM to help you build strength and flexibility. Lynn also teaches Chair Yoga, which is great for everyone, on Thursdays at 11:30 AM. Or join Lynn for a fabulous Wall and Chair Yoga: A Supported Sequence class on Wednesdays at 4:45 PM or Chair Body Stretch and Meditation class on Wednesdays at 6 PM. Or come and try “Stretch and Meditate 101” on Thursdays at 4:30 PM, a great stretching class to help you relax combined with guided meditation to help you de-stress. 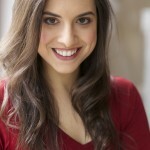 Dovie is a yoga practitioner of 5 years and a Experienced Registered Yoga Teacher under Yoga Alliance guidelines. Her teaching style is passionate and positive, enthusiastic and supportive, and she encourages her students to explore their path of personal development with Ahimsa love, compassion and understanding. Dovie teaches various styles of alternative fitness classes, is an active member of the running community, is an Holistic Health Coach, a Licensed Massage Therapist, meditates daily, and raises her backyard chickens. Dovie teaches Gentle Yoga Stretch and Yin Yang Yoga on Wednesdays at 745 PM. Rose Edelman is a RYT200 yoga teacher. She emphasizes proper alignment, safety and comfortability for students during each class. Rose has a passion for working with others to help create an empowering, inspiring environment for enrichment and self-discovery. Her goal is to help people use lifestyle tools on and off the mat. 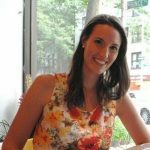 Her background as a plant-based, whole foods chef and graduate studies in health psychology, both influence her knowledge of the mind-body-spirit approach in working with student. Rose teaches Beginner Yoga Fundamentals on Mondays at 430 PM, the 10 AM Friday Stretch class, tthe 11:15 AM Strengthen and Stretch class on Saturdays, plus a NEW Chair Yoga Stretch on Fridays at 11:15 AM. Rose is also a substitute teacher for other classes. Rose offers vegan & vegetarian cooking workshops at Moonflower Yoga. 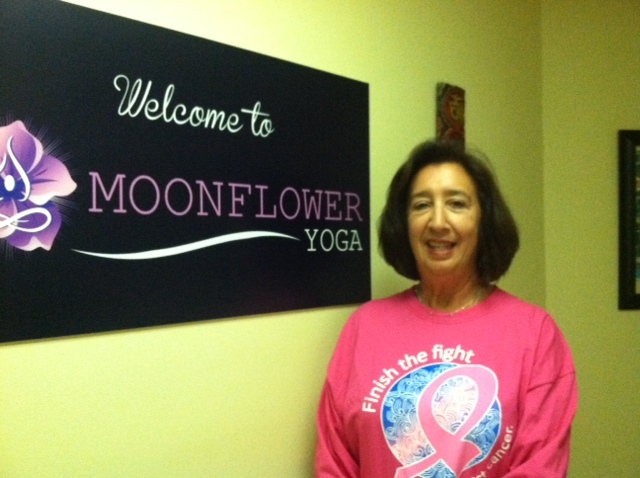 Danielle started her yoga journey at Moonflower Yoga! She fell in love with the studio and regularly practiced for over 3 years. Nancy guided her to embrace her love for yoga by furthering her education and deepening her practice by becoming an instructor. Danielle completed her teacher training at Always at Aum. 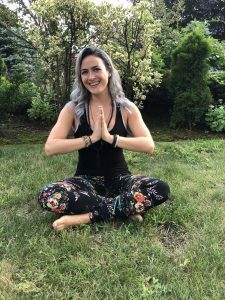 Now, Danielle is extending her affinity for beginners and all level practitioners by teaching at Moonflower, spreading her love and knowledge of the depths of yoga to our community! A Reiki practitioner, hair stylist and mentor, Danielle has a burning desire to help people in all aspects of life including business, self-confidence, energy work and holistic healing. Her goal is to cultivate a strong and compassionate society that is grounded and open to all of the love the world has to offer. Yoga is one main way that she shares this with others! Come try one of Danielle’s classes! Danielle teaches the Tuesday morning 915 AM Morning Movement and Meditation class and teaches the Stretch Intense and Restore class on alternate Mondays at 730 PM, as well as the 5 PM Yoga Basics class on Tuesday nights. 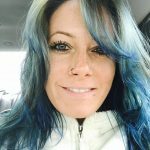 Danielle also offers workshops at Moonflower Yoga on topics such as working with your chakras and working with tarot cards, and is a substitute teacher for other classes on the schedule. Cathi’s specialty is Kundalini yoga. Kundalini yoga as taught by Yogi Bhajan is a practice that will heal, invigorate and elevate your body, mind and soul and at the same time bring you to your highest potential. Cathi was first introduced to Kundalini Yoga in 2014 and was immediately affected by the positive shift, even in her first class. In December, 2015, Cathi began her Kundalini training which she successfully completed and received her teaching certification from IKYTA, the International Kundalini Yoga Teachers Association. Cathi is also a certified Usui Reiki Master Practitioner since 2014 and is a member of the Yoga Alliance as a Registered Yoga Teacher. Cathi teaches a weekly Thursday Kundalini yoga class at Moonflower Yoga at 615 PM. Cathi also teaches 2 monthly classes as part of our “Stress Buster” series on Tuesdays at 730 PM. Come try her “less stress” meditation class or try her Kundalini meditation and gong bath – both excellent classes to help you relax. See the Stress-Buster monthly schedule for the exact dates. You may also catch Cathi on a Sunday subbing the 11:15 AM Kundalini yoga class. Lori Pappas is honored to share the ancient yet timely teachings of Kundalini Yoga with fellow seekers. Known for its ability to promote health, creativity & spiritual awareness, Kundalini Yoga combines physical exercise, breathing techniques, mantra & meditation. 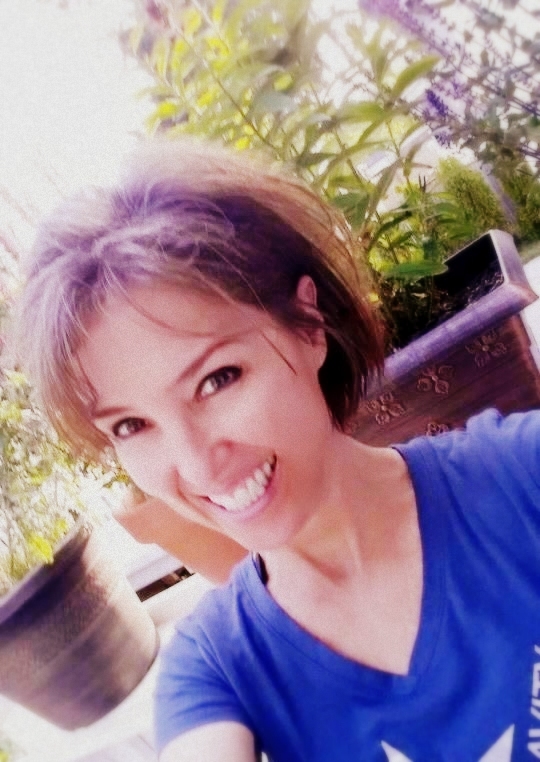 Her classes are infused with a unique sense of humor, positive energy & personalized attention. Catering to both beginners and advanced yogis, Lori strives to offer a space wherein students feel accepted and safe to embrace the greatest mission of our time…moving from the head to the heart. In the words of Yogi Bhajan “There is nothing outside of us. It’s all in us.” Come try one of Lori’s wonderful Kundalini yoga classes on Sunday mornings at 11:15 AM. Lori is a Registered Yoga Teacher under Yoga Alliance guidelines, as well as a member of the International Kundalini Teachers Association (IKYTA), and is certified in Gong Resonance Therapy. Lori is also a Reiki Master Practitioner . In addition to her Sunday morning class, Lori also teaches a Harp & Gong workshop at Moonflower Yoga; check the schedule for the next date. Melinda is a 200-hour Registered Yoga Teacher who is dedicated to bringing yoga to individuals of all ages and abilities. Through studying occupational therapy, Melinda gained a deep understanding of our physical and mental complexities and was inspired to teach tools to bring the body and mind into alignment. With each class, Melinda provides the opportunity to move and breathe with love and intention, encouraging more compassion for ourselves and others. Melinda believes yoga is a way of life. She leads her students to an inner peace on their mats, and teaches them how to carry that peace off of the mat and into their daily lives. Join Melinda for her Flow and Let Go! class on Tuesdays at 615 PM or Evening Stretch and Relaxing Restorative Yoga on Thursdays at 745 PM. Rosanne discovered many years ago that the practice of yoga helped to still her mind and ease the physical stress in her body. This inspired her to enter the teacher’s path to bring these benefits to other people. 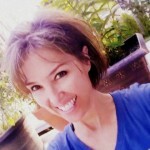 Rosanne is a RYT with Yoga Alliance and has completed over 400 hours of training. At present Rosanne is enrolled in the Mindfulness Yoga and Meditation Program through Spirit Rock Center in California to deepen her education in the potential benefits of combining yoga and insight meditation. Rosanne’s classes are gentle & meditative, drawing on the influence of her guiding teachers from the Kripalu lineage. Rosanne teaches Beginner Stretch on Mondays at 6 PM. Stephanie has always had an interest in the mystical qualities of life. Knowing inherently from a young age that there was “more than what meets the eye,” she has studied the spiritual, metaphysical and occult from an early age. For years her interest in yoga came from an intuitive knowing that it was an important piece to the puzzle when it comes to developing higher states of awareness. She practiced on and off for the better part of a decade in various styles. Her love for the physicality of Ashtanga and a strength-building practice and the deeply meditative and spiritual aspects of Kundalini and Tantra drew her to find Kia Miller in 2013, a teacher who blended these elements into a single practice known as Radiant Body Yoga. In March 2014, Stephanie took the journey of a lifetime to Rishikesh, India to complete her first 200 hour teacher training with Kia Miller. Living in an ashram for 30 days and studying these sacred philosophies in the birthplace of yoga allowed Stephanie to deeply integrate the teachings into her own life, as well as into the classes she leads. In 2015, Stephanie completed a second teacher training, the 220 Hour KRI Level 1 training for Kundalini Yoga to further deepen her knowledge of the practice. She wishes to share this knowledge with those who are open to receiving it. She is a registered member of the Yoga Alliance and International Kundalini Yoga Teachers Association. 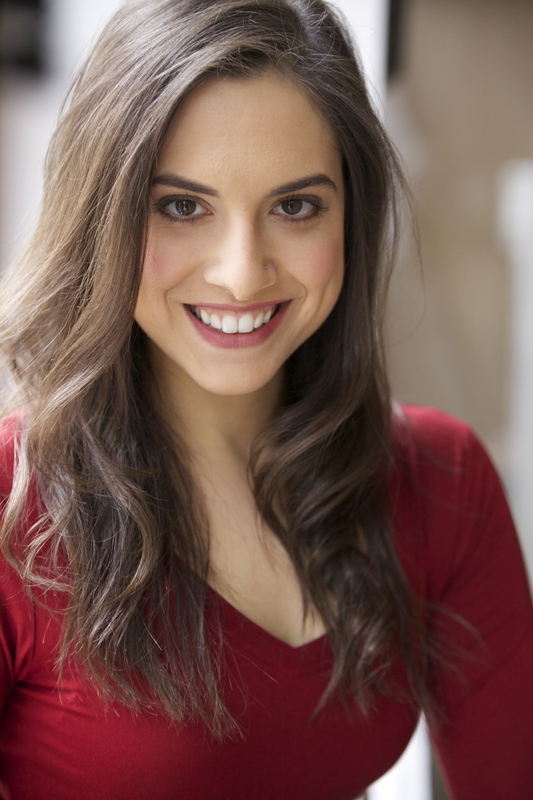 You might also occasionally catch her on News 12 Long Island – as a Traffic Reporter for the morning show. 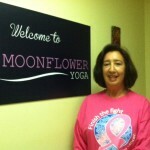 Christine brings her love of healing energies to Moonflower Yoga. She is an a Reiki Master, a Master/Instructor of Integrated Energy Therapy (IET) (Angel Healing) & has attended numerous workshops & retreats studying tapping, the chakra system, yoga and meditation. 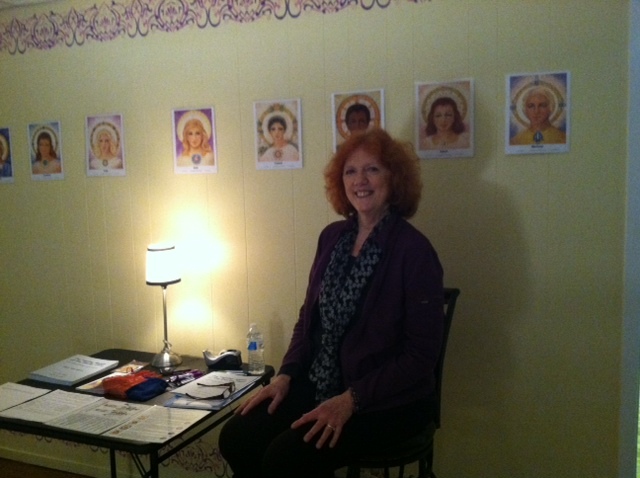 Christine teaches IET (Angel Healing) classes at Moonflower Yoga. Christine has also taught other classes at the studio including angel meditation, tapping, and understanding yoga mudras (hand positions for meditation & relaxation). 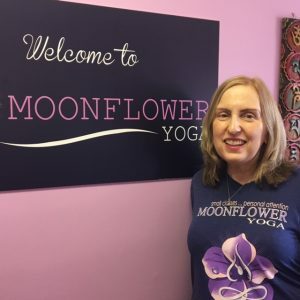 In addition, Christine has also taught IET (Angel Healing) basic training at the Moonflower Yoga studio so that you can learn how to perform IET on yourself and others.